Bio CW4 Brian Anderson is the Commanding Officer and Conductor of the 43rd Army Band of the Nebraska National Guard, a position he has held since 2007. Prior to his appointment as Commander, he served the unit as a saxophonist/vocalist, Associate Conductor and Executive Officer. Mr. Anderson holds degrees from Hastings College (BME) and the University of Nebraska-Lincoln (MM, Ph.D.). He is a past President of the Nebraska Music Educators Association, the Nebraska State Bandmasters Association and the Nebraska chapter of the Phi Beta Mu Honorary Band Fraternity. 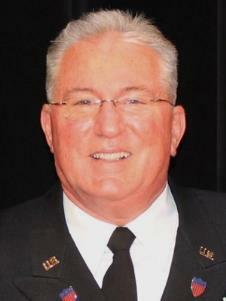 Mr. Anderson is a featured clinician and adjudicator throughout the United States and Canada. He is a Contributing Editor for The Instrumentalist magazine, and has had articles published by The Instrumentalist, The Music Educators Journal, Teaching Music, The Journal of Band Research and the National Association for Music Education. A 33-year veteran of music education, Mr. Anderson spent his final 28 years at Fremont High School, Fremont, Nebraska, where he was the Chair of the Music & Drama Department and Director of Instrumental Music. Ensembles under his direction have performed for numerous state, regional and national music conferences and festivals, and commissioned several new works for concert band. Under his supervision and direction, the Fremont High School Music Department received the Signature School Award from the GRAMMY Foundation for excellence in scholastic music performance. Mr. Anderson’s military decorations include the Army Commendation Medal, the Army Achievement Medal and the Army Reserve Components Achievement Medal. Civilian honors include the American School Band Directors Association (ASBDA) Stanbury Award, Distinguished Service Awards from both the Nebraska Music Educators Association and the Nebraska State Bandmasters Association, the National Band Association Citation of Excellence and the Legion of Honor from the John Philip Sousa Foundation.